The Imperial Spice is a great place I visited with my friend recently. It was absolutely mesmerizing! We enjoyed every bit of it and even liked the staff, they were warm, welcoming, the service was quick and the presentation of each dish we ordered was outstanding. We started with salads & the Manager enlightened me with the small secret of their menu, that if you combine all the initials of salad names mentioned on it, it'll spell CAESAR 😂😊 As far as their salads are concerned, I especially loved the EUGENIUS🤩 for my love for olives, crunchy iceberg Lettuce and Greek feta cheese. 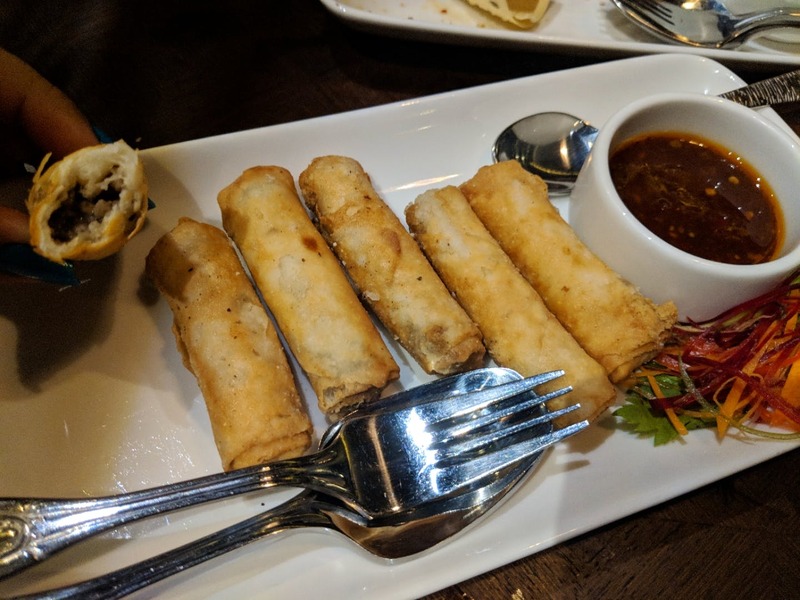 The dressing was delicious😋 For Starters, I would recommend: 🐾Wild Mushroom Cigars with Sun-dried Tomato Pesto for the brilliant flavours and melt-in-the-mouth mushroom and cheese😍 🐾Panko & Wasabi Mushroom- For all mushroom lovers😘 For Indian Starters, I would recommend their Paneer Asli Roll with the crispy outer layer of flaxseeds😮 yum! Main Course: Since I was more keen on their Indian Food: 🐾Dal Makhni- A perfect blend of herbs, cooked well, and the presentation was lovely! 🐾Signature kofte-e-khass 🐾Nawabi Liptvan Aloo Dum- baby potatoes tossed in a spicy gravy. Biryani: 🐾Purdah Subz Dum Biryani with basmati rice. Had a small portion of it, cannot forget the aroma and the flavours. Desserts: I loved 🐾 Sun-dried Tomato Ice cream- Vanilla ice cream in honey with a mild topping od sun-dried Tomatoes. Never thought such a simple thing could taste that good. Also, for the custard lovers, do try Gulab Jamun & Custard pudding, you would definitely love the floating Gulab Jamun in caramel custard. I think everything was good, but it would be nice to have more options for main course and dessert.